Playwright, poet, and Spanish journalist, born in Madrid in 1866 and died in his hometown in 1954. Considered one of the great renewers of the theatre in Spanish at the end of the 19th century and beginning of the next century, he/she left an extensive and varied dramatic production which, after having proceeded by the more generic variety of channels (the comedy of customs, the current environment, social satire, idealistic or fantastic Theatre, children's parts, the rural drama, the urban comedy(, etc. ), found its definitive formulation in the field of the so-called "bourgeois comedy", Madrid author rose to dimensions higher literary quality and dramatic effectiveness. Born into a well-to-do family belonging to the professional middle classes of the capital (his father was the famous murcian doctor Mariano Benavente, pediatrician of the best families of the high society of Madrid), received a careful education that contributed mightily to develop his love of reading and her innate literary vocation as a child. To meet the wishes of their elders, he/she enrolled at the Central University of Madrid to study upper right; but, as soon as he/she had news of the death of his father, he/she left the University classroom to devote himself to the cultivation of literary creation. Traveled, then, the young hyacinth with great regularity through various countries in Europe, enrolled in some adventures as bizarre as that which led him to become an entrepreneur of a circus that came to Russia. On his return to Spain, he/she began to collaborate in some literary magazines that have emerged under the protection of the new modernist which, with unusual vigor, stretched by Latin America and Europe; and subject himself to the dictates of modernism, gave to print its first literary texts, including two collections of poems (titled verses and flowers) which, although they did not provide any new features to the progress of the nineteenth-century Spanish poetry, currently have the testimonial value of frame Benavente among the legion of young poets of the modernist of his time. In addition, those first early works that came out of his pen at the beginning of the Decade of the 1990s also include the prose book entitled letters from women and the collection of theatrical short pieces published under the title of fantastic theatre. This work was the first approach to the art of Talia Jacinto Benavente as author, although it was made up of a series of minor texts that, in its idealistic and poetic, nature had not been designed thinking about its possible staging. In 1894 he/she attended the first premiere of one of his theatrical pieces, entitled the alien nest, work that was not too well received by the Madrid public, due to their nature excessively critical; However, two years later triumphed loud with the premiere of famous people (1896), a work that came to announce him as the great renewer of the bourgeois Theater of the time. Since then, Jacinto Benavente became the greatest exponent of the renewal of Spanish drama, both thematic innovations that included in their parts as per the techniques of theatrical construction used in the preparation of his best works, considered as a magnificent vehicle for showcasing for the actors and a perfect example of that friendly bourgeois theater that, although it seems to criticize everybody, at the bottom does not bother anyone (the Viewer includes onstage flaws and other defects, most do not own). Delivered since then to a feverish activity which, at the rate of about three or four annual releases, allowed him to write more than one hundred and seventy works over his long history of dramatic, Jacinto Benavente also cultivated, regularly, the journalistic genre, both in some cultural magazines such as the already mentioned above (which is worth remembering here titled literary lifedirected by the playwright Madrid from 1898), as in different Rotary and magazines of general information (such as the newspaper El Imparcial, where he/she published his articles from 1808-1912; or the weekly black and white, which was also directed by Benavente for a short period of time). In 1907, following the premiere of which without a doubt is his best work (vested interests), Jacinto Benavente was finally crowned as the most important Spanish dramatist of the moment (the works of Valle Inclán and the first releases of García Lorca would take still some years to upload tables, while the old hits of Echegaray, another Nobel Prize-winning playwrightthey were rejected by viewers and abominados by new generations of writers). Acclaimed and honored by the public, critics and institutions political and cultural, in 1912 he/she held a Chair in the Real Academia Española, and six years later he/she sat on a seat of the Congress of Deputies. Between, had been the object of bitter attacks launched against it by Spanish intellectuals who were very offended when Benavente, in the middle of World War II, had shown their sympathy for the German cause. Root of this collective attack - which was but a widespread rejection of conservatism that was becoming increasingly more present in his works, Jacinto Benavente felt very offended by his countrymen and stopped writing between 1920 and 1924. It was, paradoxically, during this period of silence and anger when his name reached the higher levels of celebrity. International recognition, occurred in 1922 with the obtaining of the Nobel Prize for literature, caused not - as it has happened in so many other cases-envy and contempt for their fellow citizens (which, if they had previously criticized had been newly exposed reasons). In 1924, the City Council of his hometown named him "Favorite son of Madrid", and that same year was decorated by the political authorities of the realm with the great cross of Alfonso X el Sabio. Its theater, however, was falling further and more outdated, since the innovative contributions that introduced in the Spanish scene at the end of the 19th century had crystallized into a "magic formula" that, with more or less variants, Madrid author kept repeating in all his later works, without paying attention to the new aesthetic and ideological currents that were shaking the panorama of intellectual and artistic of Europe and America. It was not, because, in his theatrical production of the second, third and fourth decades of the 20th century no sediment of the avant-garde movements, so many changes were taking place in the universal literature, so it soon started to lose the favor of critics and writers who evolved for these new routes, as well as the young authors, forged during a period characterized by such abrupt changesthey watched Benavente works as obsolete waste of nineteenth century literature and the bourgeois mentality. However, a good part of the Spanish public was filling the rooms whenever announced a premiere of the world-famous playwright, while his more conservative followers did not see with good eyes its proclaimed adherence to the Republican regime. Moreover, among the most reactionary groups of the Spanish society of the time - and it must be borne in mind, now, that the theatre of Benavente concitaba enthusiasm of the gentry and the more conservative the country classes - were not welcomed Madrid playwright sexual preferences, which were subject to ridicule, comments and offensive speculation in the most varied environmentsfrom the most conspicuous literary cenacles of the capital to the rolls and the gatherings of the courtyards of neighborhood (when, in 1908, Lady premiered loves, vulgo soon chanted the lacerating epigram that foisted him a maledicente wit of the Court: "the famous Benavente / has premiered a lady, / and choir screaming people: /-it was time, as it was time!"). During the Civil War, Jacinto Benavente continued public membership to the second Republic, although, since its quiet he/she retired in Valencia, attempted to keep clear of political disputes and any literary forum organized by some of the parties that actively involved in the armed conflict. After the fratricidal strife, even took six years to break his creative silence (with the exception of the circumstantial work birds and birds, 1940, motivated by the victory of the rebel troops), until in 1945 it returned to the stage with snow in may, making the number 150 on the list of their original works. Began, from then on, brand new parts, suitably situated between the rest of his still copious production (had to write one hundred and seventy-two plays), constituted a pamphletary praise of the the new Francoist regime. 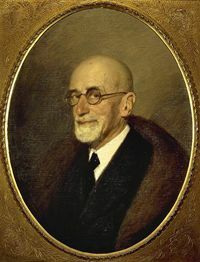 This fast "adaptive capacity" allowed him to continue occupying the cimeros positions of the Spanish scene (at least as far as visibility and number of premieres refers) mid-20th century, while he/she enjoyed a series of positions, honors and privileges which reaffirmed him as the favorite author of the ruling classes (thus, v. gr., in 1947 was appointed Honorary President of the International Confederation of societies of authors and composers(, and three years later returned to be honored by the political authorities of the country, this time with the Medal for merit in work). He/She died in Madrid, in 1954, after having left lists some interesting memories that, under the title memories and forgetfulness: memories, saw the light of day in 1962. Throughout its long existence, Jacinto Benavente was able to address successfully all theatrical genres (drama, comedy, tragedy, comedy, etc. ), although it has passed to the history of contemporary Spanish literature by its expertise in the cultivation of this bourgeois comedy that, in honor of his achievements, has been called also "comedy benaventina". In general, although Benavente theatre also deals with all conceivable environments (the rural and the urban, within the purely geographical scope; the commoner and the aristocratic, if attends to the social condition of his characters, etc. ), the comedy typical benaventina can be described as a complete gallery of human types which, from a perspective of manners and incisivereacts sharply against the pathetic melodramatic excesses that had incurred Echegaray theatre. Moves, thus, Benavente of the bulky tremendistas effects that characterize the latest works of who had preceded him, in Spain, in the list of recipients of the Nobel Prize to realism, the naturalness and verisimilitude three of the key in its dramaturgical technique, which does not prevent the outbreak of certain outbreaks of irony and lyricism that brings a humorous or poetic that recreation counterpoint sometimes reliable reality that is you are looking at on stage. Its formula, therefore heavily influenced early by the great teaching of the Norwegian author Henrik Ibsen, takes own life as a starting point for the construction of situations and characters that are very close to the Viewer; and, although his prolific work in two distinct interconnected aesthetic tendencies can be distinguished (satire manners, always expressed in a tone of ironic and ingenious; and the imaginative Theater of modernist influence, characterized by their hoard of idealized situations), ultimately Benavente only triumphed with the discovery and exploitation - almost to the depletion-the first onein which he/she found the most suitable scenic runway for the deployment of all theatrical resources who knew handle when it comes to giving dramatic consistency to actions and situations more inconsequential. Its first theatrical release, a drama entitled the alien nest (1894), a problem of jealousy between siblings, from a point of view too critical with the bourgeois society of the time. This hardness of approach provoked the dismay of much of the public, although he/she also allowed critics and most seasoned viewers watching the birth of a new theatrical voice that sought to delve unimpeded into the daily reality of people surrounding her. Thus, the premiere in 1896 of famous people came to confirm (now, since this genre of comedy that lent itself better to their intentions) the worth of a young author who, then, seemed to have found the key that allowed him to continue keeping its key aim therefore offend the sensibility of the same class to which their works were intended. It was, as demonstrated in the work just mentioned and in the food of beasts (1898), put on the stage a few characters that are autocriticaban by cynicism, immorality and other vices and defects that made gala, but without ever moralizing about their attitudes, in such a way that it was the spectator who found in the protagonists was (and(, by extension, in those around him) those defects which the author not stated expressly in his person. The great success achieved by these first pieces advised Benavente to relegate the theatre of intrigue who wanted to write for the benefit of this bourgeois theater that seemed to have no secrets for him. But, aside from success in the contents and in its dramatic wise formulation, Jacinto Benavente also showed with these new works his extraordinary talent for theatrical writing, above all in its expertise in the construction of the dialogues and their ability to sharpen and clarify the psychological complexity of his characters. This was demonstrated in generic practices began to cultivate the Madrid author, as the cosmopolitan atmosphere and symbolic elements drama entitled the Saturday night (1903), that the own Benavente described as "scenic novel". This is a theatrical piece, steeped in poetry, resulted in the emergence in the work benaventina of the specific themes of the decline of the European society of the time. In 1905 debuted the sentimental comedy Roses of autumn (1905), then applauded, although not as much as the piece that led to tables Madrid playwright after two years under the title of vested interests (1907). Taking European theatrical tradition, the characters of the commedia dell' Italian art (something Benavente had already done in the short piece "Story of spring", collected in the fantastic Theatre first volume), built a magnificent plea against the hypocrisy of high bourgeois society. Marinated with grace and the peculiarities of the typically Spanish psychology, the above-named characters projected on stage a sharp critique of positivism which, like a fashion required follow-up, dominated in the privileged classes of contemporary Spanish society. Of the resounding success of Jacinto Benavente harvested with this work realizes the fact that, the day of its premiere at the Teatro Lara in Madrid, the feverish public loaded shoulders to the playwright at the end of the representation and led him in twinkling up to his house, cheering him during the trip as if it were a triumphant Bullfighter. Followed, vested interests, another theatrical installment of paramount importance in the whole of the work benaventina, the aforementioned Madam ama (1908), a penetrating psychological analysis of a woman eaten by the monster of jealousy. A new milestone in his brilliant literary career took place in 1913, with the premiere of a raw rural drama, overshadowed by the hardness of his realism, entitled the malquerida (1913). Although it is impossible to collect, in a biographical sketch of these features, all titles offered by Jacinto Benavente, examples include here, practically fly pen, some other successes of criticism and public as relevant as the cheerful and confident City (1916), second part of vested interests (and, no doubt, much lower than the text that is intended to be continued); Campo de armiño (1916); The butterfly that flew over the Sea (1926), which takes up many of the symbolic elements and cosmopolitan environments present at the Saturday night (1903); Pepa Doncel (1928), work in which the fictitious scenario of Moraleda, an imaginary city of provinces which appears last in Benavente Theatre since the release of the Governor (1901), the playwright Madrid placed much of their actions and characters; Birds and birds (1940), first witness to his pleasure with the Franco regime; Titania (1946), the infanzona (1947), abdication (1948), has come Don Juan (1952) and, among other many titles of enormous interest, the PIN in the mouth (1954). Other less significant works are brute force, the tacky, the honesty of the lock, the natural and the female end. Among its intended children theatre, it should be remembered the work entitled the Prince of all learned it in books (1904). Include, finally, a new book of prose writings, collected under the title of thoughts (1931). Comedy in prose, composed of two acts and a prologue, whose action is situated in an early 17TH-century Italian city. There are Crispin and Leandro, two rogues vagrants who decide to improve his fortune in accordance with a plan devised by the first one. The stratagem consists of Crispin, pretending to be servant of Leandro, to get that this obtains, in the city where no one knows them, fame and opinion of Great Lord, which, in turn, will help them to obtain the earned monetary receivables that will enable them, as the third phase of the plan, favoring different characters and thus create a series of links with the main subjects of the city. In the background, the ultimate goal of the ploy hatched by Crispin through use all these influences to marry Leandro with Silvia, daughter of Punchinello, a former teammate of the two rogues who, at the time, has become one of the richest and most respected city men. Put into practice the plan, everything is going according to the dithering until true love between Leandro and Silvia is about to trigger failure; but, fortunately for rogues, interests throughout all the work end up imposing above the truth.